The unit members of Stylish Star Allu Arjun’s next film in the direction of Boyapati Srinu have moved to Rajahmundry for a short schedule. Starting tomorrow, the unit will can several crucial scenes on the lead pair and supporting cast. With this, half of the film’s talkie part will be completed. This yet untitled film will showcase an intense Allu Arjun in typical Boyapati style. Tentatively titled Sarainodu, the film stars Rakul Preet Singh and Catherine Tresa as the female leads. 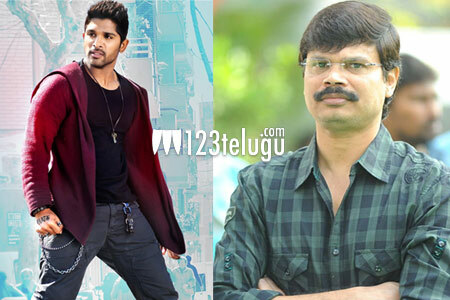 SS Thaman is the film’s music composer and Allu Arvind is producing the film. The film will be released in April as an early summer treat.